Last Saturday my daughter ran around the house saying “Pinch me. Is this a dream? I can read!” It was the cutest thing ever, but it also broke my heart a little bit. Two months ago we realized “Jenna” needed glasses. Now, we’re still regrouping. First self portrait with glasses. One thing I know for sure is that Bob Books weren’t working for Jenna. Don’t get me wrong, I love Bob Books and have blogged about them often. But they weren’t working for Jenna, probably because she had developed an aversion to them because her eyes were hurting. 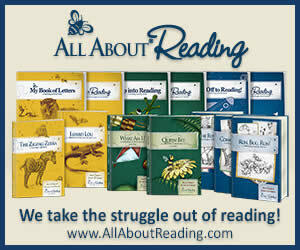 Since we already owned All About Spelling I decided to buy the All About Reading readers. (Full disclosure: I am an All About Learning affiliate.) All About Spelling and All About Reading are based on the Orton-Gillingham approach, which means teaching kids phonics in discrete, multisensory lessons that build upon each other. 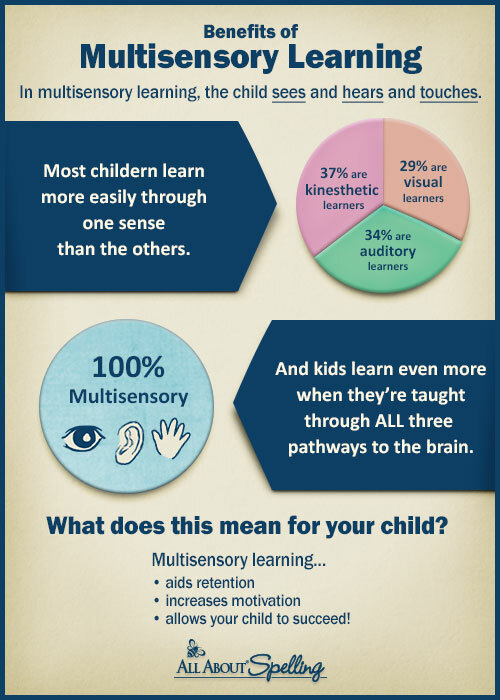 It’s the gold standard for helping kids with dyslexia. To be clear, I’m not supposing my daughter has dyslexia, but if she did, All About Learning products would be a recommended intervention. Doing All About Spelling with my daughter has been a completely different experience than working through the program with my son.) You can read about “Bruce’s experience here.) Bruce blew through each step in a couple of days. Jenna does better spending one or two weeks on every step. She is fabulous at spelling out words with the tiles. Dictating words on paper is also a strength. But when it comes to flashcards, or simply reading the words from the book, she needs more time. I have to be patient. So honestly, I didn’t know what to expect when we first opened RUN, BUG, RUN! Would this be a good fit? Every time Jenna reads a story we give her a star sticker. This picture shows how many stickers she’s earned in five days. Forty stickers! The stories are at the exactly right level for Jenna. They don’t include any spelling patterns she hasn’t learned yet. The illustrations by Matt Chapman, Donna Goeddaeus and Dave LaTulippe are beyond charming. Reading focus cards seem to really help. Reading focus cards help words pop-especially for a little girl who has struggled with her vision. The other thing I should add is the $1 I spent on those star sticks was totally worth it Getting a star sticker is incredibly motivating and we’ve been celebrating every time Jenna earns ten stars. As a mom, I feel a tremendous amount of relief to have a program that works. Sure, I have my whole litany of free strategies to teach kids to read but for some reason Jenna needed something different. I’m not sure if it was the undiagnosed vision problem, or something else. But now I feel like we are solidly back on track. Go ahead and pinch me. I’m living the dream! Get out your scissors, moms and dads. Here’s a trick straight from the classroom that will make it easier for you to teach your child to read. Give your young reader a special bookmark called a word window. My daughter Jenna has just turned five-years old and is chugging along at a first grade reading level. She can read between 75 and 100 words but still get easily frustrated. Too many words on a page overwhelms her. An easy solution for this is using a word window. A word window is a bookmark with a hole cut out in the middle. In the past I’ve made fancy ones out of construction paper and clear tape. But simple word windows made out of plain white paper work well too. Eventually my daughter will outgrow word windows, but right now they are extremely helpful. P.S. Got an older kid with reading issues? Word windows work for third, fourth, fifth and sixth graders too, especially if they have ADHD. My broken wrist has really cramped our ordinary Afterschooling schedule. One bright spot has been Reading Eggs. I purchased a subscription through the Homeschool Buyers Co-op and have been extremely impressed. The way Reading Eggs works is there are 12 maps with ten lessons each. Every lesson has 11 activities. My daughter took the placement quiz and began on map 3. At the end of map 3 she passed a simple quiz to move on to map 4. Clicking with a mouse can be hard for little hands. We don’t have an iPad, but we do have a touch screen computer. That really helps. However, some of the activities work better with the screen and some work better with the mouse. I need to be on standby in case my preschooler becomes frustrated. Jenna has been playing Reading Eggs for three weeks now and I’m already seeing a big difference. Level 3 Bob Books are a lot easier for her now, and she has more confidence when sounding out words. For more information about Reading Eggs, please click here. Just say no to busy work! January 27, 2014 1:16 pm / 2 Comments on Just say no to busy work! Don’t buy this at Costco! I had very low expectations for this latest Leap Frog purchase and I wasn’t disappointed. I didn’t want to buy it but my preschooler made me. Okay, that’s not totally true. I was curious. The former Kindergarten teacher in me was begging to see what was in that box. Nothing in this box is bad exactly, it’s just that I don’t believe workbooks and flashcards are the answer. Sometimes you’ll get kids like my daughter who “want” to do workbooks. Okay, fine. Whatever. We can get out the Leap Frog workbooks for fun. But edutainment is different than education. There are a hundred more meaningful things you could do with your emergent reader that would be more meaningful. Here’s roadmap of examples. Sooooo many numbers and soooooo confusing! That’s a little bit better. These are awesome, but you could make them at home for free. Here are some fun ideas for preschool math. Final thoughts? Maybe the next time you are at Costco, you can save $20! Sadly all of the other Leap Frog products I have purchased haven’t been as good. I have no research or data to back this theory up, but I think that 17 is the magic number for Bob Books. The 17th book was when it all started coming together for my four-year-old daughter Jenna. Before that, she needed a lot of scaffolding. The first set of Book Books was the hardest. Then she started set 2 and stalled right around “Up Pup”. At that point we purchased the Bob Books Sight Words set from Costco, along with a Princess Book for motivation. Each Bob Book “unlocked” a Princess story. Jenna was incredibly determined to make this happens. She white-knuckled it through the first 5 books of the new set. After reading her 17th Bob Book, three times each, it became easier for her. Independent reading became enjoyable. Most importantly, Jenna started seeing herself as a reader. She started pointing out words everywhere and sounding them out. Does this mean she’s polishing off the rest of the Bob Books yet? No, not at the moment. But Jenna’s reading the books she’s already mastered over and over and over again. We have Bob Books floating around all over the house. It’s actually getting kind of annoying. A funny thing is that Jenna is convinced that the bigger Bob Books are easier than the smaller ones, which isn’t necessarily true. The Bob Books Sight Words: Kindergarten set is on par with Bob Books Set 2-Advancing Beginners . The larger format is from Costco, the smaller format is from Amazon. But since things started “clicking” for Jenna with the bigger, Sight Words set, she thinks the larger format is easier. I bet if I went back to Costco and bought the larger version of Set 2, Jenna would think they were super easy too! The take-home message here, is that if you’ve been using Bob Books at home, be patient, be creative, and be persistent. Hold on until the 17th book! Then drop me a line and share your story. Was #17 magic for your child too? My 4-year-old daughter Jenna and I have been doing what we call “Princess Bob Books” every day this week. She really, really, really wanted to get Princess Bedtime Stories (Storybook Collection) when we saw it at Costco. Frankly, it made me want to gouge out my eyes. But then I noticed that Costco also had Bob Books Sight Words Collection – Kindergarten and First Grade (Bob Books, Sight Words Collection) , which we didn’t own. So Jenna and I struck a deal. We’d buy both. This week, every new Bob Book Jean reads “unlocks” a new princess story from her collection. This has been very motivating. Some phonics-fanatics freak out when they see the term “sight words”. Not me, because I’m a Balanced Literacy proponent. In terms of difficulty, BOB Books: Sight Words: Kindergarten seem to fall somewhere between Bob Books, Set 1: Beginning Readers and Bob Books Set 2-Advancing Beginners. It’s a great fit for Jenna, and a great opportunity for me to read about my favorite Disney princesses–not! A dollar’s worth of pipe cleaners is all it takes to make phonics hands-on. Right now my daughter Jenna(4) has been having fun building words from Bob Books. We don’t build all of the words from each book, but one or two seems to be doing the trick. It’s an easy way to pre-teach new words. For more ideas about Bob Books please click here. A special treat…and a captive audience! My four-year-old daughter Jenna is on the very last book in Bob Books, Set 1: Beginning Readers . She had been cranking away at Bob Books, and filling up her chart, but then she decided to take a break, and I honored that. But today we cut a deal. She’d work on the last Bob Book if I brought out the nail polish. Jenna loves having her fingernails painted, but I’m not a fan, even though we have the supposedly eco-friendly polish. Sitting around and waiting for fingernail polish to dry is the worst…but it also presents a very captive audience! Next time I think I might have her Kindle charged, for a special showing of Meet the Phonics – Blends .